Did you know that everything that you do is a direct result of using your subconscious mind? You may not be aware of it, but behind the scenes the subconscious is working 24 hours a day recording everything that happens to you. It is also recording responses to given triggers. If you feel fear or apprehension, this is because your subconscious has registered some resistance to doing whatever it is that you are trying to do. Your failures and your successes therefore depend upon changing the patterns that exist and making them into more positive patterns. Habits become habits because you are presented with triggers that in turn require some action on your part. You will repeat your actions, making them into habits but habits are a little more complex than that. 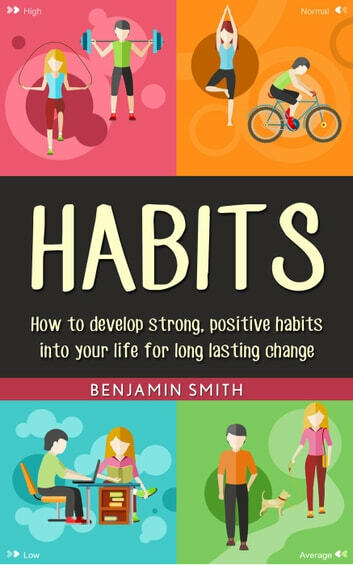 In the opening chapter of this book, we will look at the way in which habits are formed, because having a better understanding of the process will help you to change bad habits into more productive ones. Stuck in a rut? Find yourself always looking at the cup half full? Habits can do that. Thus, if you can control the habits and use the formula for creating positive habits, you are already halfway to living a better life that will give back so much positivity. During the course of our studies into habits, what we found was amazingly simple. You have the power to change the way you think. Your approach to life can be manipulated by using the information gained on how habits are formed. You can change your life for the better. You just need to understand the process and be a little more clever than your “automatic pilot” allows you to be. 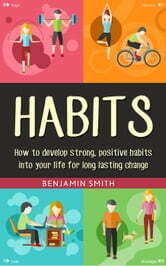 Once you have embraced good habits – albeit little by little – you will notice a change in your attitude toward people and in your approach to life. With the changes that you incorporate, you can make the difference between living a very long and happy life or simply working toward your goals and getting nowhere. From infant hood, all the way through your life, you are feeding your subconscious information. Change the information and new habits form – habits that will make a difference to the way that you live your life. Empower Yourself! Reclaim Your Purpose, Passion, and Prosperity. What Are You Willing to Give up for Happiness?